I started my month with jealousy. My brother often sends me photos of the amazing produce he finds growing in New Zealand, and I've come to accept this as 'banter' with the hope that he will one day come to the end of New Zealand's finest produce. The latest was a grinning mug shot with a handful passion fruits from a tree he'd found in his garden. Why can't we have such beautiful fruits just growing in the garden in the UK!? 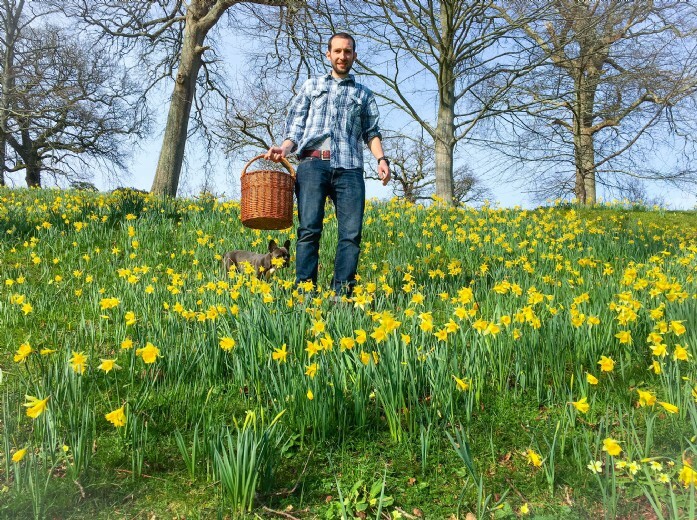 The foraged and wild food scene is currently very trendy here in the UK, with hipster chefs throwing roots, nuts and plants they've found at the edge of the local park all over menus, talking about the delicious bounty our land has to offer. The fact is that 80% of it is not that great and actually takes skill to create acceptable food from it. But among all the hype there are a few gems, and this morning I stumbled across a ton of it! Wild Garlic is here. My brother can shove his passion fruits back up his hidden tree. This is a wild ingredient everyone can and should forage for. We use garlic in everyday cooking. It is so simple to use, pick and eat. This week I've made a batch of wild garlic butter, best enjoyed on bread, amazing with mushrooms on toast, amazing, lump on a steak, amazing! 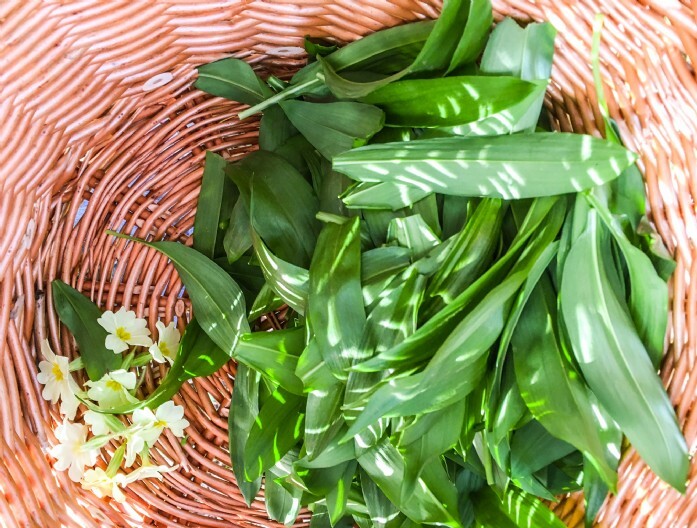 This weekend will stretch to wild garlic tagliatelle. I won't bore you with endless recipes, we all have Google! Spring is officially here in the South West and I couldn't think of a better place to live. 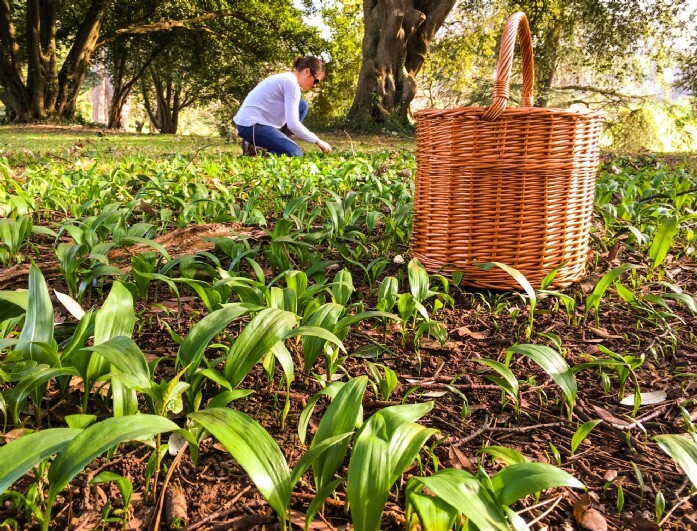 Viva la wild garlic! Our in-house caterer Sam Rom along with his partner Meg use their extensive local knowledge to source the South West’s best ethical and sustainable produce, allowing you to indulge in culinary bliss in the luxury of your unique home stay!